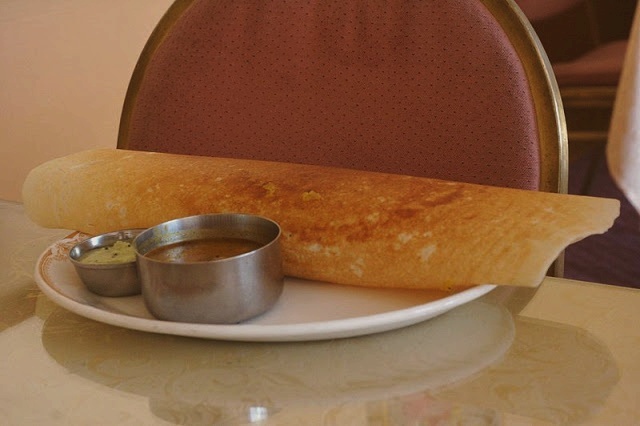 Thosai, Dosa or Dosai is a crepe made from rice and black lentils. It is a popular dish in Singapore, eaten for breakfast or dinner, and is rich in carbohydrates and protein. To most Singaporeans, Jalan Kayu is best known for its roti prata and thosai. For the thosai recipe, here we go. Soak rice and dhal separately for 6 hours. Blend dhal, rice, fenugreek, cooked rice and enough water to obtain a smooth batter. Before cooking, add water if required, to obtain a consistency similar to that of sponge cake. Heat a flat pan. Grease with a little oil. Cook for 2-3 minutes, then turn it over to cook the underside Dish and serve. Serve it with dhal curry or other curry.